The green reptile appeared suddenly on an Aeromexico flight from Torreon in the country’s north to Mexico City on Sunday, emerging from the ceiling behind an overhead luggage compartment. Cellphone video shot by passenger Indalecio Medina showed it wriggling briefly as if trapped before partially dropping down into the cabin. “I was reading a magazine and the passenger next to me saw it and, ‘Oh my word! 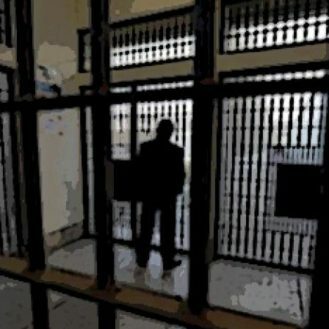 '” Medina told The Associated Press by phone Monday. He estimated it was over 3 feet (about 1 meter) in length. Passengers hastily unbuckled themselves to get clear of the dangling snake before it dropped to the floor, where people trapped it between rows 5 and 6 with blankets provided by a flight attendant, Medina said. After the pilot radioed ahead, the plane was given priority landing in Mexico City and touched down 10 minutes later. Passengers exited out the rear, and animal control workers came on board to take the stowaway into custody. 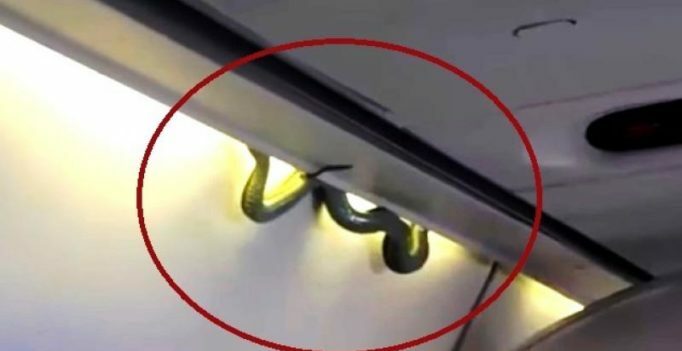 Aeromexico said in a statement that it was investigating how the snake got into the cabin and would take measures to keep such an incident from happening again. “Snakes on a Plane” was a 2006 action movie that was about exactly what the title suggests. It is treasured by fans for its campy premise and star Samuel L. Jackson’s profanity-laced declaration of war on the CGI-generated serpents.